Maine East High School - FCCLA Students Win Big at State Competition! FCCLA Students Win Big at State Competition! The Family Career and Community Leaders of America club attended the State Competition in Springfield over the weekend. 14 students from the Family and Consumer Sciences department participated in the areas of Fashion Apparel, Culinary Arts, and Child Care. 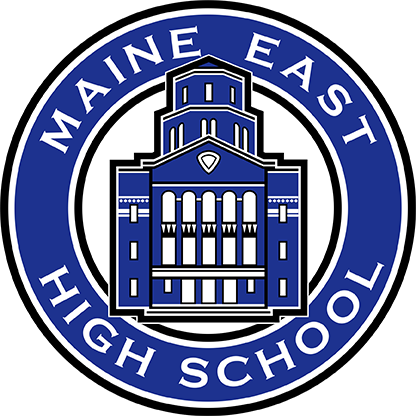 We would like to congratulate the following students on all their hard work who proudly represented Maine East. Abby Flood, Angelica Torres, Stephanie Rodriguez, Darmaris Tellez, competed in Fashion Apparel Construction. Eelini Omiriadis competed in Fashion Apparel Display. Anela Poturovic competed in Decorated Cookie. Murti Patel competed in Professional Child Care Portfolio. Itahi Ramirez, Jennifer Zia, Jada Vachachira, Malorie Ishi, Stephanie Poggas, Jill Patel, and Josephine Vachacira competed in Children’s Literature Presentation. The following students received the top scores in their individual categories: Itahi Ramirez, Jennifer Zia, Murti Patel, and Abby Flood. Congrats! Your teachers Jillian Ristow, Sabrina Benjamin, Tess Buchberger, and Michelle Meyer are all so proud of you!